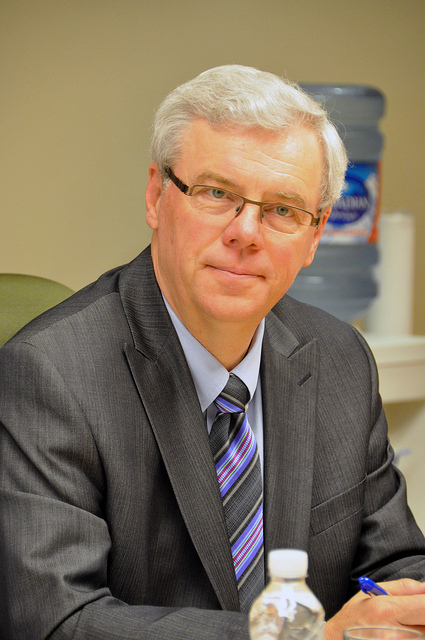 The current crisis in the Manitoba NDP has its roots in the decision of the Greg Selinger government to raise Manitoba's 7% provincial sales tax to 8% in its 2013 budget, making it effectively the same as that in Ontario (where it is blended with the federal GST into an HST) and some other provinces. The government was looking for revenue (see the 2013 budget speech page two) after over a billion dollars in flood protection infrastructure was identified in a report commissioned following the devastating Manitoba floods of 2011, which were, as the report put it of "a scope and severity never before experienced, in recorded history...". They decided on the sales tax increase despite promising in the 2011 election that they would not raise the PST. However, the government faced urgent revenue pressures if they were to fund the infrastructure required for flood protection. The alternative in a real sense was an infrastructure deficit, something other governments, especially conservative ones (think Mike Harris and the cemented in Eglinton subway and its role in Toronto's current transit crisis), have chosen in the past. A sales tax increase regardless of the circumstances was inevitably going to be unpopular. Theresa Oswald, one of the dissidents who just resigned (and thought to be Selinger's most likely successor), saw the problem right away when she spoke to Free Press columnist Gord Sinclair a week after the 2013 budget. According to Sinclair, "Oswald said Gary Doer had a saying: 'You don't increase beer prices, and you don't hike the PST.'" What was Doer referring to? It is worth unpacking. We live in an era where a large number of those in the labour force face stagnating real wages and incomes, in part as a product of the 2008 financial crisis, but more because over a long period incomes have become more unequal as many workers can't increase their incomes enough to keep up with prices. There are many reasons: union power is weaker while an international race to the bottom has depressed wages here and driven jobs abroad. On the other hand the power of the wealthy, particularly in the financial sector, has become stronger. For many struggling to make ends meet, taxes are an easy and tempting target. Hence the frequent efforts, particularly on the part of conservative governments, to promise tax cuts, especially highly visible sales taxes (think Harper and the GST), even while they raise invisible taxes. However, the reality is that a community cannot increase its net income by cutting taxes (apart from the context of national macroeconomic stimulus policy and that does not apply here). Doer I think intuitively understood the dangers from hiking visible taxes like the PST in the context of growing income stagnation. Note he said beer prices, not single malt Scotch. But the reality remains that one can only increase private consumption by cutting public consumption and sometimes there are urgent public needs for expenditure. Flood protection is arguably in that category. The trade-off often seems opaque, so unless the public is convinced that a vital highly valued service, say health care, is truly endangered, they are likely to recoil at this kind of tax increase. Infrastructure even for flood protection can seem like an abstraction to many and not nearly as meaningful as direct ongoing services such as health care and education. 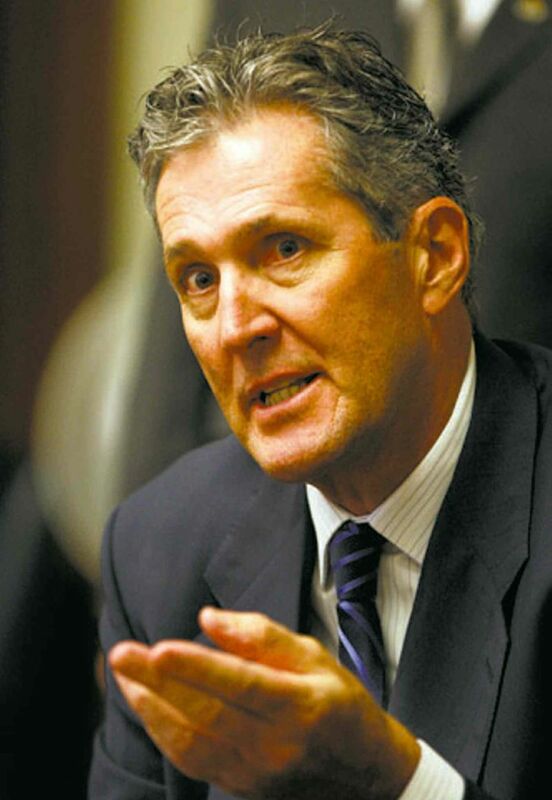 The trade-offs are real but conservative politicians, such as Manitoba PC leader Brian Pallister simply pretend they are not a problem. He met recently with the Winnipeg Free Press editorial board in a session the paper televised online. At times, we were reminded just how incomplete many of Pallister's plans really are. He was asked to explain, once again, how he would roll back the one-point hike in the PST now dedicated to infrastructure -- a central Tory pledge -- and still maintain current spending on roads, bridges and sewer/water projects. Pallister said he can replace the $260 million generated by the PST increase via cost savings without cutting infrastructure spending, laying off staff or cutting core services. When pressed, Pallister impatiently said that despite not having outlined how he will find hundreds of millions of dollars in savings without fewer people or services, it can be done. "I guess you'll just have to take me at my word on that." Pallister can't say because he understands all too well how unpopular a candid answer would be. Perhaps the most widespread dishonesty used by conservative politicians today is the pledge to reduce spending by only cutting waste and inefficiency. This was a canard used by Rob Ford, who promised in 2010 when he was elected Toronto's mayor "No cuts to services, guaranteed", but eight months later he was proposing hundreds of millions in such cuts. I have little doubt Mr. Pallister will be just as unsuccessful in this respect as Rob Ford, when, as now seems likely, he becomes Manitoba's next premier. The 'lower taxes but no cuts to services' pledge is a delusion. It is a posture, however, that can pay political dividends. In the recent Toronto mayor's race, Rob's brother Doug received a third of the vote with a platform of large spending increases on subways combined with pledges to reduce taxes. It was pure fantasy, but did not get the political humiliation it deserved because the delusion of tax cuts for nothing has a powerful appeal in the context of stagnating incomes. If you want to increase sales taxes it is possible, but an extremely difficult political sell. One successful example was provided by the Saskatchewan CCF albeit during a period of strong rising real incomes. In 1950 Provincial Treasurer Clarence Fines raised Saskatchewan's sales tax by one point in his March budget from 2 to 3 percent. He needed the extra revenue to help finance Saskatchewan's hospitalization plan (implemented January 1, 1947) and argued that the sales tax increase was fairer than raising a per capita tax in the form of a health premium, which was introduced under the expectation that the federal government would have by this time have introduced a national health program first promised in 1945. It would have paid 60% of hospital costs and the health premium was expected to be a condition, but the federal hospitalization program would not see the light of day until 1957-58. Exemptions to the sales tax on food, drugs, cleaning supplies, second hand goods and other items, previously implemented by the government, meant Fines could argue that the sales tax was 'less regressive'. The CCF had originally promised to eliminate the sales tax but even before taking office concluded they could not do without it in the short term. However, the sales tax was contentious. So it is understandable that Fines would complain in his speech: "This tax has been criticized more than any other provincial tax, but this criticism has been political and not based on sound reasoning." The difficulty remains today and is compounded by how such taxes interact with growing income inequality. The split in the Selinger government's ranks has likely become more problematic politically than the tax itself or the breaking of a promise. To cite an example from history, the fall of the Diefenbaker government in 1963 was not about nuclear weapons, it was about disarray in cabinet. There is nothing more likely to sap confidence in an administration than division in the ranks. The only realistic way out now for Manitoba's New Democrats is for Greg Selinger to resign so that a leadership convention can resolve (perhaps only temporarily as the federal Liberals have shown) the internal conflicts. That said, the dissenters all voted for the sales tax and won't escape political responsibility unless the tax is rolled back, but then whoever governs were that to happen must deal with the consequences, which, as Mr. Pallister has so aptly illustrated, are not so easy to address. The dissenters should have recognized that after 16 years in office the accumulated grievances that accrue to any administration would likely have produced defeat (the election is likely to take place in April 2016). I am quite skeptical of the claims of imminent electoral disaster. However, it is likely the dissenters think a change in leadership might bring yet another victory, which also seems unrealistic despite the weaknesses of the opposition parties on the sales tax issue. We have seen the inadequacies of Mr. Pallister in dealing with it; the same is also the case for the Liberal leader, Rana Bokhari, who has promised only to place revenues from the sales tax hike in a separate fund for infrastructure. The election remains a long way off, but the divisions within the NDP must be addressed. While the exact outcome is far from certain, five term governments in Canada (apart from Alberta) have been exceedingly rare. There is an irony for the NDP finding itself in a political crisis based on the sales tax. The Manitoba sales tax was introduced in 1967 by the PC Duff Roblin government as the Education Revenue Tax (the Saskatchewan tax had a similar name at one time). When Roblin left to enter federal politics reaction within the Progressive Conservative Party to his record including the sales tax led in part the PCs to chose Walter Weir, a rural small 'c' conservative. Roblin's government was highly progressive building a modern state in the province, expanding provincial expenditures on education and funding considerable capital investments such as the Red River Floodway, which as most Manitobans know has saved billions in flood damage. The result of the PCs moving right (along with the provincial Liberals) was the election of Manitoba's first NDP government in 1969 under Ed Schreyer.